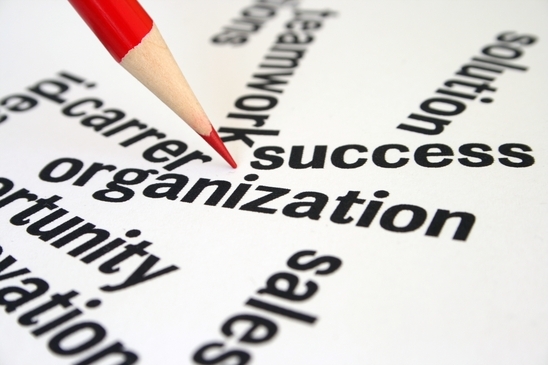 The act or process of organizing items or processes. I am an outliner. I love to outline speeches, stories, and just about any project that I’m starting on. An outline is a starting point and having a good tool for creating one is very important. I usually outline in Microsoft Word, which allows me to move things around and put my thoughts in any order I wish. I usually put down the main points first, and then fill in the sub-points and substance of the project. The power of MS Word is flexibility. I can see my thoughts and then put them in order. But how do you outline when a computer is not available? I’ve tried paper, but I find myself erasing more than writing. There must be an offline tool that offers flexibility and speed to get your ideas on paper fast but with the ability to move things around. Enter the Five Minute Outliner. This little tool fits in your pocket and you can take it anywhere. The tool works simply. Grab a Sharpie and put a project title on the title card. 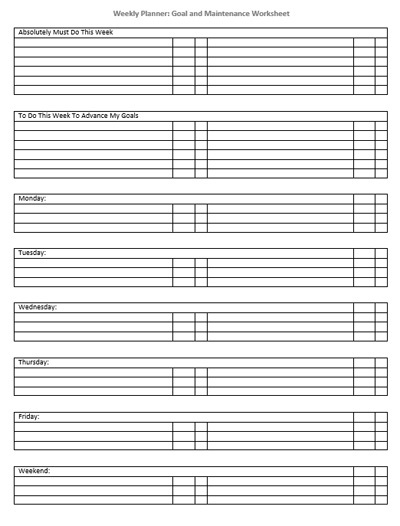 Put your main points on the main subject cards provided and lay them out on your desk. 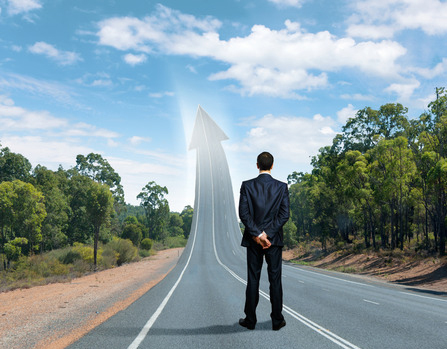 You now have a starting point. Move them around if necessary. When you get the proper flow and order you are ready for step two. Grab your fine point Sharpie and start writing down sub-points on the sub-point cards. Put the cards down on the desk below the main points. The sub-point cards are flexible. 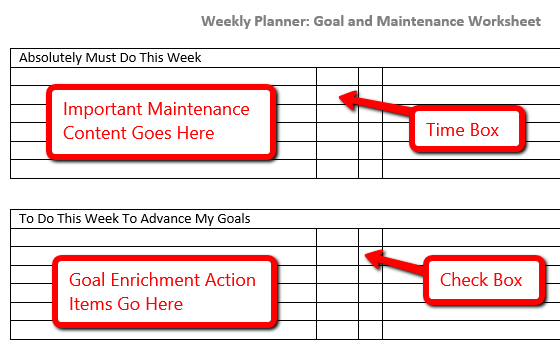 If you are working on a project with lots of changes put one sub-point on each card. If the project is rather static you can put multiple sub-points on one card for easier visibility. The Outliner is flexible and is great for group collaboration. You can pass out a main subject card to a small group and then give each team member a sub-point card. The ideas will come fast and furious. The cards allow the group to arrange points quickly and easily. 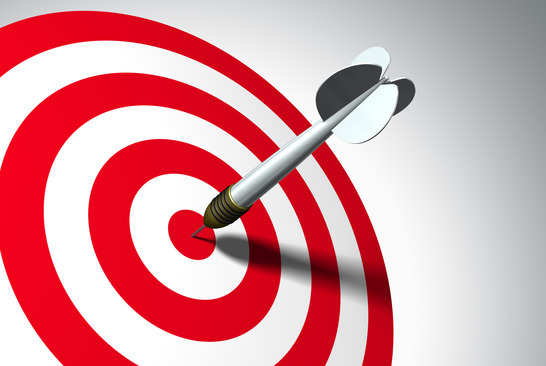 Within minutes a complex project can be outlined in a group setting. Get back together and layout the whole project. 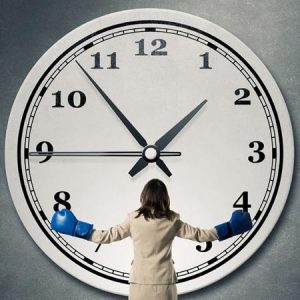 In minutes you can fine tune the project. You can discard and consolidate ideas easily. Soon you’ll have a workable solution. The best part… stack the cards in the order of the outline from top to bottom. Put the title card on top and clip them together making an outline walleteer. This will fit easily into your pocket or purse and allow you to take the project intact and in order back to your computer. 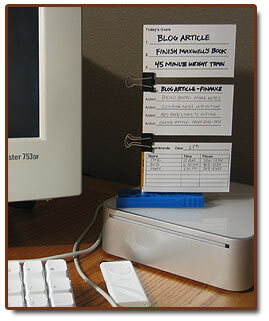 Grab some mini clips and stack your outline on your desktop tower. You can now input your outline quickly and visibly into your computer. 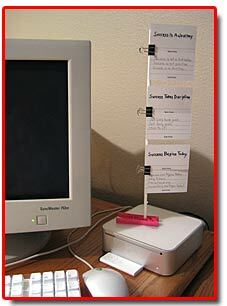 The desktop tower is easily made with a clothes hanger dowel and a large clothespin. This tower is great for computer input or visual feedback. I use the tower when I practice a speech that I have outlined. When you are done with your outline and you need a synopsis use the “jogger” card. This is a vertical aligned card with lines for your major and sub points. 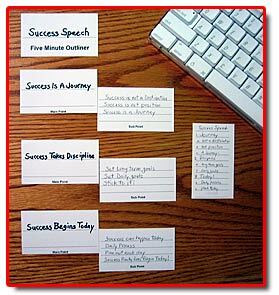 This card is very useful for speeches and meeting prep. Put it in your pocket or purse and take it with you. The card is small enough to fit easily on a podium or lectern for quick reference. Never forget your place in a speech again. The card is small enough to fit in the palm of your hand so it will be less distracting to an audience when using it for notes. 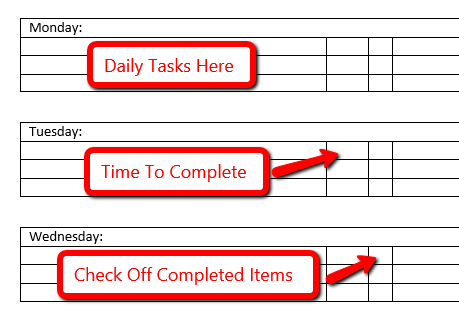 This tool has made speech and meeting planning much faster and easier for me. In a few minutes I’m able to get my main points down and try different sub points and project order. The flexibility of this tool makes outlining quick and fun. 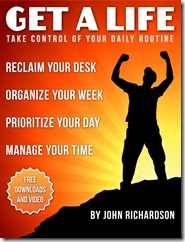 With the New Year around the corner, what better way to get prepared than to pick up some handy organizational tools. Here are five unusual ones, that work well in small spaces or offer clever features to get your office off to a great start. I love this organizer. It’s priced under $10 and can be attached to the outer or inner side of your desk, to the wall, or to the backside of your closet door. 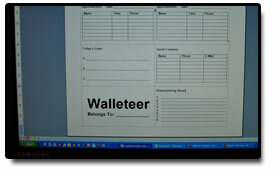 Handy for files that need to be accessed all the time.. Great for work or for your office at home. 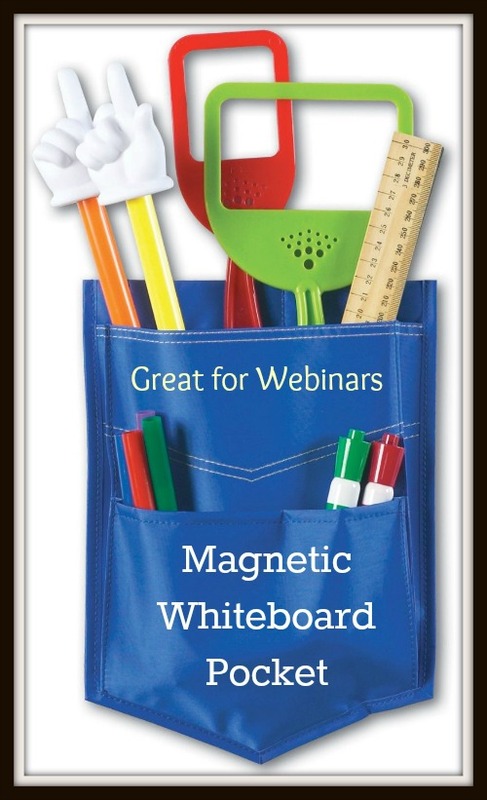 If you have kids, these make a great place to store homework and activity items. This is really handy if you use a whiteboard at work or home. I like this one when doing webinars, as it will hold a bunch of drawing tools, it’s colorful, and I can easily put it anywhere on the board. 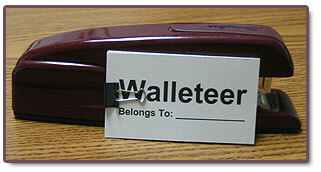 This handy pocket can also be attached to your desk or metal file cabinet for additional storage options. 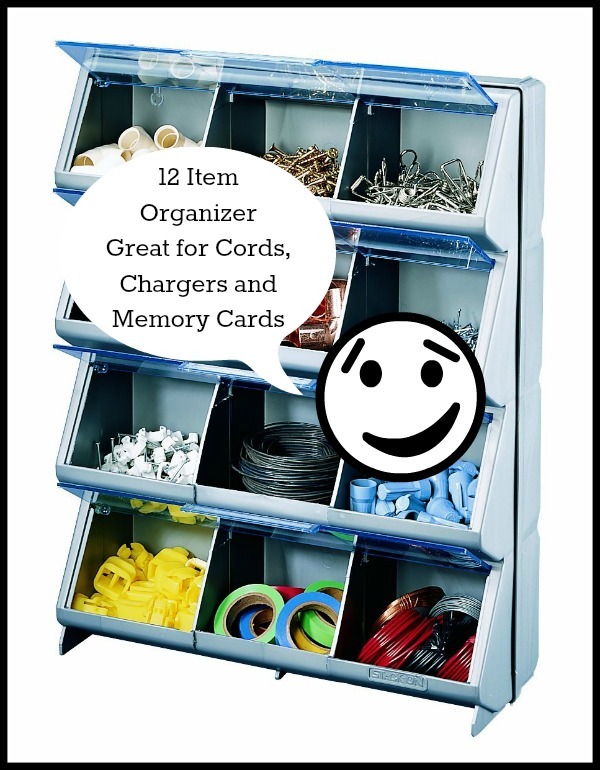 This handy organizer is a great place to store the myriad of cords, chargers, tapes, and memory cards you may have around the home or office. The clear plastic covers keeps the dirt out . Fits nicely on a desk, table or hanging on the wall. I keep mine on a shelf in my office closet. 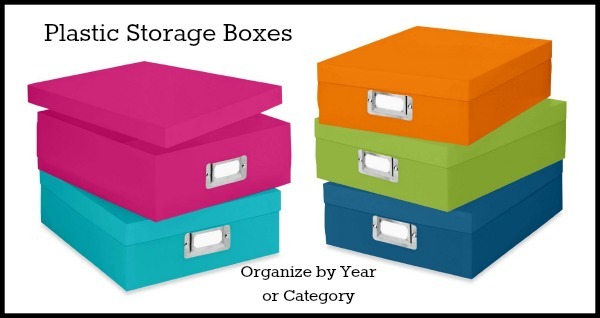 This is a simple way to divide your storage items by year or category for quick retrieval. The color coding identifies specific items quickly and easily. Great for yearly tax receipts, legal documents, or anything you need to find fast and store in a clean container. Included spine labels for instant identification. Have an empty wall? These unique ledges make a great way to display a picture or knicknacks. 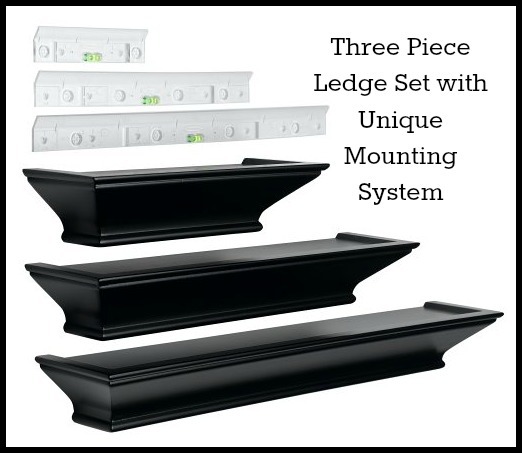 Includes unique mounting bracket with built in level for easy one person installation. Install using only a hammer (other hardware included) – average mounting time per item is only 2 minutes! Mounts perfectly level and flush against the wall. Side to side adjustment for exact placement. This is a great place to display your favorite motivational quotes. All five of the items are available from Amazon and make great holiday gifts. 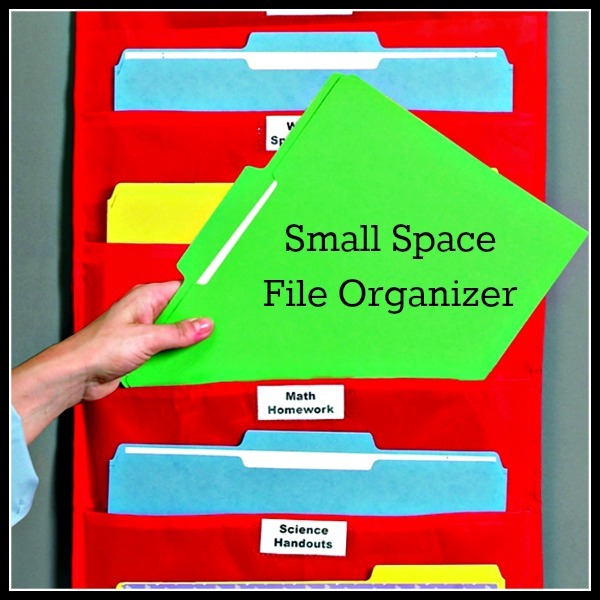 Why not give the gift of organization for the New Year?